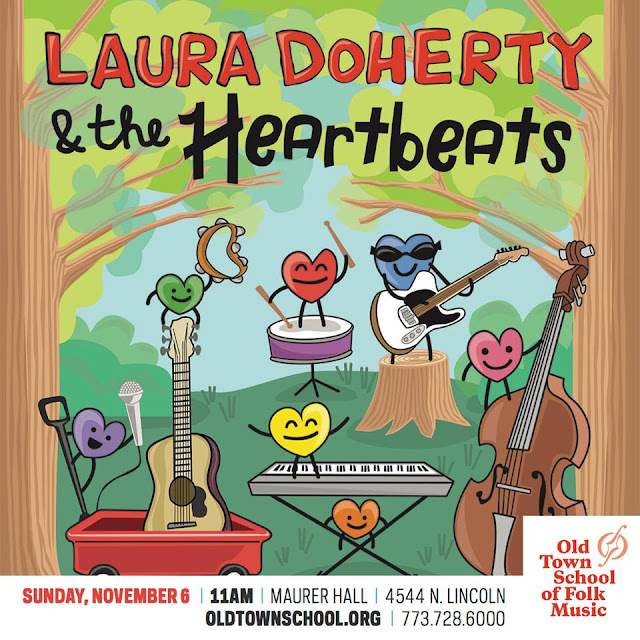 Laura Doherty has been a local fav of ours here at ChiIL Mama for years. We're thrilled to promote Chicago's vibrant kindie (kids' indie) music scene and encourage our rock tots, little folk, punk kin, banger babies, and live music lovin' parents to get out there and enjoy a show with your littles. Click here for some of our original Laura Doherty flashback footage, video interview, and stills (21 features! ).